PeachTree Place Assisted Living Community offers dementia care in West Haven, Ogden, Salt Lake City, and the surrounding areas. At PeachTree Place, we understand how difficult it can be to meet the needs of a loved one with dementia all on your own. With a professional staff and a wide array of high-quality amenities, PeachTree Place Assisted Living Community is well equipped to assist you in the care of a loved one who is living with dementia. At PeachTree Place Assisted Living Community, we evaluate your loved one’s condition, including the individual’s level of dependency in activities of daily living such as eating, bathing, dressing, mobility, and more. Based on the results, we tailor our services to your loved one’s needs. Our staff can help with household responsibilities and chores, meal preparation, and personal hygiene. If all your loved one needs right now is someone to check on them regularly, we will happily do that as well. Individuals with dementia respond best to a stable, familiar environment. Having an established routine makes their lives less stressful and can help make their symptoms easier to manage. PeachTree Place Assisted Living Community can help your loved ones feel at home, even after their care needs evolve, to provide maximum comfort and help slow the progression of their disease. Since help is always available in case of an emergency, we provide safety for your loved one and peace of mind for you and the rest of your family. 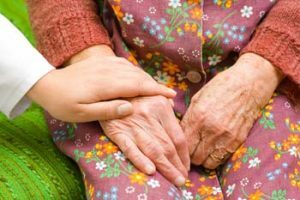 The anxiety associated with managing a chronic condition is one of the challenges any caregiver faces. With our team of professionals on your side, you can trust that your loved one will receive the high-quality, compassionate care she deserves. If you are interested in an assisted living solution for your loved one living with dementia, please feel free to contact PeachTree Assisted Living Community by phone or via our online contact form.